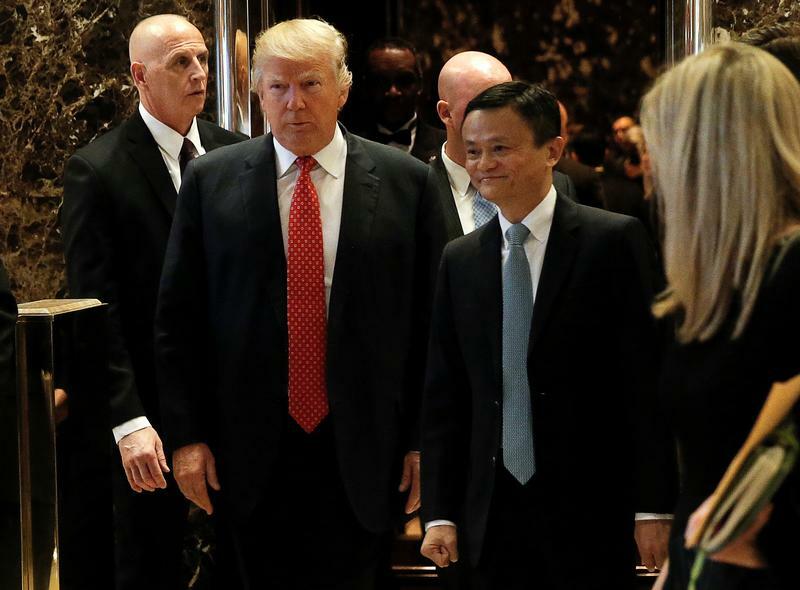 Alibaba founder Jack Ma met with the U.S. president-elect and pledged to create 1 mln jobs. Trump, well-pleased with this tribute, says he and the Chinese e-commerce tycoon will do “great things” together. There is less to both statements than meets the eye. Reuters: Alibaba's Ma meets Trump, promises to bring one million jobs to U.S.
Alibaba Executive Chairman Jack Ma met U.S. President-elect Donald Trump on Jan. 9 and laid out a plan to bring one million small U.S. businesses onto its platform to sell to Chinese consumers over the next five years, an Alibaba spokesman said. Ma projected that would create one million jobs, assuming that each company would add a position as a result. Trump often targeted China in the election campaign, blaming Beijing for U.S. job losses and vowing to impose 45 percent tariffs on Chinese imports. Alibaba has been again placed on the U.S. Trade Representative's list of "notorious markets" for trafficking in fake products. The company subsequently sued two vendors who it claims sold fake watches. In May the company said the U.S. Securities and Exchange Commission had launched an investigation into accounting practices.